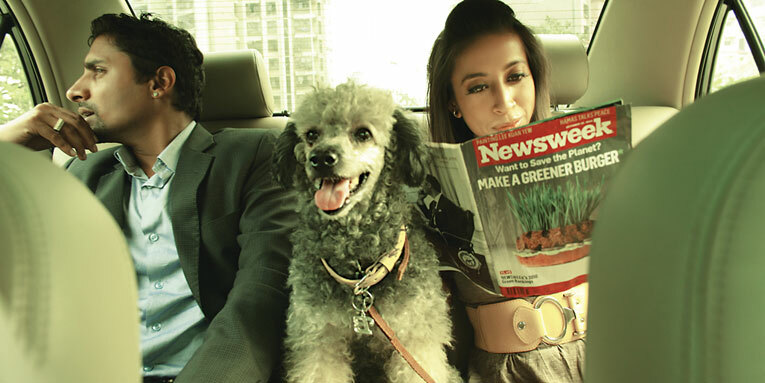 Chandan Roy Sanyal and Yuki Ellias in a still from Love You to Death. You’ve had some experience as a theatre actress in India and a number of other countries, but this is your debut as a film actress. You’ve sung three songs in the film and have been involved with the production of the film as well. How different was this experience for you? What were some of your best and worst moments from the making of Love You to Death? Love You to Death is my first film—as a co-writer, singer, actress, and assistant director. Working on the film has been one big adventure ride. There were many highs—45 days of rigorous shooting with a huge group of Indian and international actors, 40 dogs, 80-odd guns, car crashes, and fight sequences; the critical acclaim we received at all the festivals; getting a cinema release in India. [It was] a pretty crazy and adventurous first film for us. One of my worst moments from the making of the film is being drenched in wine for one of the scenes. We had to repeat the shot several times! “Acting is my first love”. Was it awkward to work with a film director who is also your father? Not at all. In fact, we are an excellent team. We’re both creative people, but also lawyers in our disagreements, doctors in our analysis, comrades in our goals. We don’t pat each other on the back, we know our limitations and our strengths, and we work hard to keep learning, keep progressing. We love good stories, having a good laugh, and are equally amused and moved by the world and the lives of people. Love You to Death is definitely not your usual Bollywood fare. What was the thought behind creating a ‘Hinglish’ film? How did the idea come about? Love You to Death is based on the crazy times we live in. The newspapers are full of outrageous stories every day about ordinary people doing some unbelievable things out of desperation. These stories form the underlying theme of the film. Hinglish was the natural language for the characters set in urban, multilingual, ‘globalised’ Mumbai. There are no big names in the film, but there are a number of popular and critically-acclaimed veteran actors such as Sheeba Chadha, Sohrab Ardeshir, and Suhasini Mulay playing interesting roles. We have a truly talented ensemble cast in this film. Suhasini Mulay, Kallol Banerjee, Chandan Roy Sanyal, Nicholas Brown, Sohrab Ardeshir, Sagar Salunke and the many many wonderful actors who did cameo roles. They are real actors who have a genuine spirit for the craft. They all brought beautiful detail and a unique richness to their parts. To work with the ‘big names’ in the industry, we would need another kind of story, and another kind of mindset. A mega budget as well. The whole system of working radically changes. There’s a certain freedom and irreverence that we can have as indie filmmakers. We enjoy that freedom even if it pays less! Love You to Death trailer featuring Sohrab Ardeshir as the sexpert. The film sees everything from dog funerals and klutzy murder attempts to a doctor who is a sexpert by day and a wannabe rock star by night. What are some of your favourite moments from the film? The funeral with the 40 dogs—that is definitely a highlight. Kallol Banerjee hit the perfect note with his eulogy, and the dogs all managed to look so mournful! The climax too, with the 80-odd guns, the fashion show, and all the actors present for the finale. Sohrab as Dr. Pesi Dinshaw still makes me laugh, and Chandan—he’s a really funny actor. It’s hard to stay in character with him because he always makes you want to laugh. 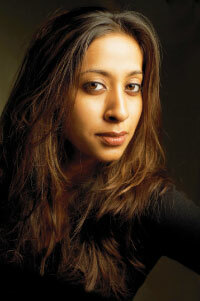 The film has had a number of screenings at film festivals in India, the U.S., and Canada. It also won an Audience Award in Anchorage. Do you have any interesting anecdotes from the film festivals that you’d like to share with readers? The festivals have been great. Eight festivals so far. And the Audience Choice Award in Anchorage, Alaska, which is a huge, huge honour. We’ve seen some amazing films this last year and met many filmmakers from around the world. One unforgettable experience was going to the festival in Alaska, with the temperature being close to -20 degree Celsius. What’s next for you, personally? Are you looking to be a part of more feature films in the near future? Acting is my first love. But I will definitely work behind the camera as well, creating new projects—fiction, documentaries, shorts. My music videos are going to be out soon. Looking forward to exciting times ahead. For more about Love You to Death, visit the film’s Facebook page at this location. By Arun Kale · In conversation with writer and filmmaker Devashish Makhija about Forgetting, his new book of short stories. “Acting is my first love”? Really? Could she say anything more cliche driven? And at the risk of sounding like a teenager in puppy love, Chandan Roy Sanyal is tres cute. I wonder if he’s single?